Home / Blog / Do You Have Enough Fire Extinguishers? Kitchen fires are the leading causes of home fires in the United States, but what other areas of the house should have extinguishers? Is there a specific number? Consider the size of your home, the number of floors and where you store hazardous items that could lead to a potential fire. Every homeowner has unique needs, whether that’s a riskier hobby, or simply wish to keep the house as childproof as possible. Despite the reasons being, safety and precaution are the main objectives. According to the U.S. Fire Administration, there are three primary types of fire extinguishers to choose from. This includes the “A” type, which is used with ordinary materials like cloth, wood and paper, the “B” type which is used with combustible and flammable liquids like grease, gasoline, oil and oil-based paints and lastly the “C” type, which is used with electrical equipment like appliances, tools and other equipment that utilizes an outlet. If you feel the need to possess a combination of these three, there are options to purchase multipurpose extinguishers. Each extinguisher is clearly labeled, so if there’s two letters on the bottle, you will know the multipurpose. 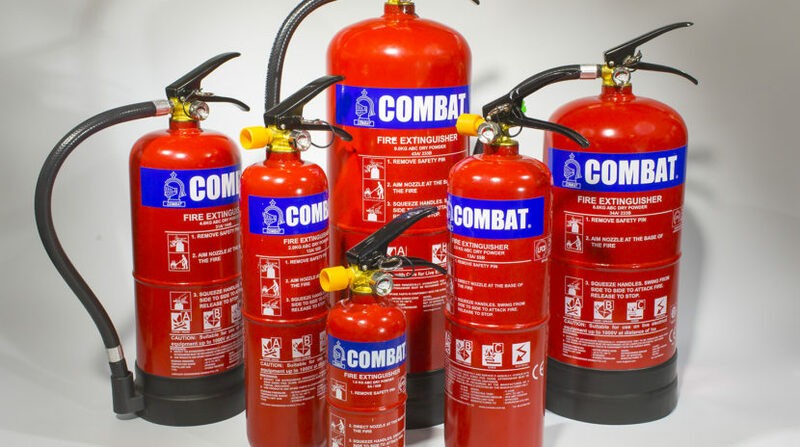 When in doubt, always keep a fire extinguisher stored in the kitchen area, garage, near hazardous chemicals/cleaning supplies and on each floor of your home. The more prepared, the better. However, a fire extinguisher isn’t too helpful if you’re unsure how to operate it! Pull the pin. Hold the extinguisher with the nozzle pointing away from you and release the mechanism. Remember to be cautious of your surroundings, especially during the holiday season! With parties in full swing, it’s easy for the kitchen to get hectic. A fire is easily preventable, but always keep an extinguisher nearby to prepare for the worst. If you have any questions or need help with your home or business repair, maintenance and improvement projects, Contact your local Pro Handymen or call.